Returning to the warmth of Abidjan after the World Economic Forum’s meeting in icy cold Davos, under the theme Shaping a Global Architecture in the Age of the Fourth Industrial Revolution, I have been reflecting on the discussions and what they mean for African development. Participants from government, business, academia and civil society debated how technological and other shifts will change the way the world works, lives, governs itself and communicates. This might seem far removed from the challenges and realities of the everyday lives of Africans, but we should not underestimate the relevance of Davos discussions for Africa. How Africa and Africans adapt to the new realities and harness the latest technology and tools will determine the pace and direction of the region’s development, and the opportunities for Africans to lead increasingly healthy and prosperous lives. There is nothing particularly new about the idea of growing via technological adoption. What is different today is the pace of change and the extent to which Africa risks being left behind if it does not manage to harness the best knowledge and technology for its development. And this goes beyond the obvious cases of mobile phones displacing traditional telephony and banking as Africa forges its own identity within this evolving global landscape. The discussions were vast and covered so much ground, so here is my attempt to boil it all down to five Davos takeaways on Africa’s development priorities and opportunities. First, it will be critical for Africa to integrate itself more fully into global value chains, ensuring greater value addition, revenue and good jobs. A particular area of focus in Davos was the potential of agricultural value chains and food systems for Africa to move from net importer to dependable exporter of high quality processed food. Africa holds roughly 60 percent of the world’s uncultivated arable land. Combined with rapidly increasing demand for processed goods both within and without Africa, and a young population in search of good jobs, turning this into a competitive advantage is a win-win both for Africa and for the world. Making it happen requires the wide dissemination of the latest technologies for agricultural production and processing, for example through the African Development Bank’s Technologies for Africa’s Agricultural Transformation initiative. Also needed are transparent access to land and finance for women and young people to allow them to fully participate in agribusiness. The potential of Blockchain—or distributed ledger systems—was discussed at length in Davos and is already beginning ensuring proper recording of matters like land tenure in Africa. Africa must move ahead quickly in adopting the latest technologies and knowhow to harness this opportunity. But technologies are only as useful as the ability of Africans to employ them. So second, adapting to the great shifts taking place requires access to skills. This concern is not unique to Africa. Countries around the world are struggling with the skills mix that will be needed in the future since no one has a crystal ball to predict what the economies of tomorrow will look like. However, it is a pretty safe bet to invest in science, technology, engineering and mathematics (STEM), coding, as well as problem solving skills. We must also dispense with the idea that education is something for young people: only lifelong learning will prepare African economies to continuously adapt to changing skills needs. This represents a particular opportunity for Africa to learn from the shortcomings in other regions and to build education and training systems to last from the get go, given the comparatively lower legacy investments and infrastructure. One example are the coding centers that the African Development Bank is rolling out across Africa in partnership with Microsoft, Facebook and others. Africans need concrete skills for employability. Third, while it prepares a well skilled workforce to integrate into global value chains and higher value added work, the African continent cannot continue to hobble along as 54 separate, mainly small, economies. The continent must move forward in earnest to create its single African market. Africa trades with itself much less than do other regions. Intra-African exports make up less than 20 percent of the region’s total exports, compared to nearly 60 percent in Asia, and nearly 70 percent among European countries. This is particularly important given the general slowdown in the growth in global trade, which will make it much harder for African countries to trade their way to prosperity with other regions of the world. A lively discussion in Davos focused on the promise and urgency of establishing the African Continental Free Trade Area (CFTA). Regional integration has the potential to massively transform Africa’s opportunities by ushering in the economies of scale that are not available to individual African economies. Importantly, Africa is in a position to learn from recent decades of regional integration in other parts of the world, and to take stock of what has worked well and the pitfalls to avoid to ensure that the gains from trade liberalization are shared widely. Other important efforts that are moving forward are Africa’s Single African Air Transport Market and work towards visa free travel, since people must be able to move freely as well as goods and services. Moves towards an integrated market would not only strengthen the continent’s appeal as a global trading partner but also increase Africa’s attractiveness as an appealing investment destination, supporting the achievement of many of its goals such as Agenda 2063 and the SDGs. Fourth, the world has woken up to the dangers of climate change and this was high on the agenda in Davos, with much talk about the latest startling statistics about the extent of global warming. Africa is on the front lines of climate impacts, and it is also in a position to avoid making the same environmental mistakes as other regions as it grows. Africa has the opportunity to grow in a different way, harnessing the latest technologies for renewable energy and better water management through for example drip irrigation methods. Uptake in many African regions remains low but is on the rise as affordable schemes become available. As well as mitigation, adaptation will also be key, and can be supported by financial innovations such as climate risk insurance. African Risk Capacity is a promising model, providing a vehicle for African countries to work together and mutualize their risks, thus pooling resources for better outcomes. Indeed for such cross border challenges as climate change, the most meaningful solutions are those with a regional or global scope. Fifth and last, there was much discussion in Davos, particularly among the younger participants, about the shortcomings of the traditional for-profit business models that prevail in economies around the world. It is becoming clear that in the 21st Century the world needs more inclusive business models that consider all stakeholders, not just shareholders, and that harness the latest technologies for the good. These go by many names including social enterprise, for-benefit enterprise, fourth sector, b-corporations. But the underlying idea remains the same: in today’s complex and interconnected world it is in all of our interest to do business in a different way, moving beyond traditional notions of the role of companies. I believe this represents a massive opportunity for Africa. African countries must ask themselves as they move from informal to more formal economies: what kind of economy do they want to institutionalize? The business environment can be built in a new way that particularly supports the development of such for benefit companies. Young Africans see challenges all around them, which are opportunities for new types of enterprise that make a real positive difference. African economies will greatly benefit from deliberate measures taken by African governments to create the right kind of supportive infrastructure that give rise to such positive-impact enterprises. A deliberate approach to addressing these five forces would allow Africans to manage some of their own greatest challenges in an inclusive and sustainable way, and leapfrog outmoded infrastructure and technology. There is more knowledge and accumulated experience at Africa’s fingertips today than ever before. Governments, businesses, educational professionals and civil society must come together to harness these forces for the good of Africa’s future, advancing to higher and more sustainable levels of development. 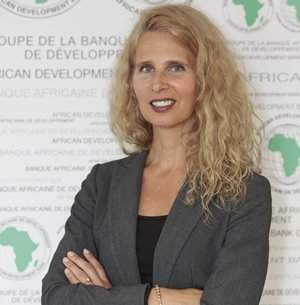 The African Development Bank will be accompanying decision makers and investors as they move forward on this path. Africans can provide solutions to the challenges of Africa, and African countries have power in numbers. The world is transforming rapidly and there is no time to lose. Let this be Africa’s century!